You will only ever have one year 2019 in your life. You can’t do everything, you have to make sure that the goal you have picked is relevant to your real desires. This is a great goal if your desire is to improve your English reading skills. It can also help your writing skills by getting lots of examples of how English speakers write. But it’s not the best goal if your desire is to improve your speaking or listening. There are better goals for that. Many people pick reading goals because they are cheap, private and easy. Don’t let that be your reason. You only have one 2019. 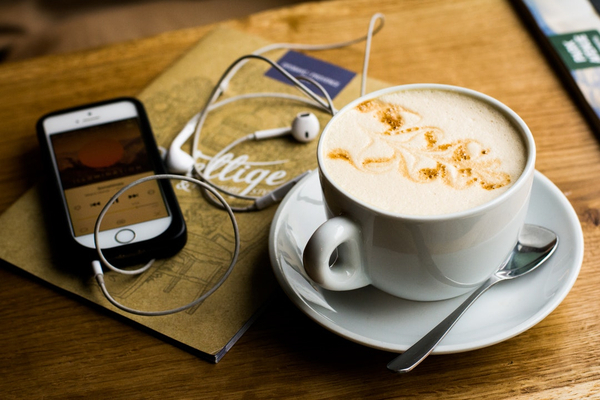 This can be a great goal if you are looking to improve your listening and comprehension skills. Especially if you look up the words you don’t know during your English subtitle phase. However, if your ultimate goal is to talk to English native speakers or understand American culture then you shouldn’t pick a 25 year old television show. If you only have time to study one TV show deeply it would be better to pick one that is more current and has modern cultural references. Don’t pick your goal because it is easy, or because it is something comfortable. Pick the best goal that is relevant to your actual dreams. This last stage of SMART, Time based, is pretty easy for New Year’s resolutions. You have a time limit (365 days) and you have a deadline (December 31, 2019). My recommendation is that you also set yourself other time-based deadlines along the way. You might set weekly, monthly or quarterly deadlines that are mini-versions of your final goal. If your goal is to read ten English books in 2019 then you could set yourself a four-book deadline in March, June, September and December. This can give you motivation and feelings of achievement during the year. Also I think its good to set your daily progress goals as time-based too. I wish everyone luck in 2019 with their SMART English goals. After you’ve made your goal feel free to share it in the comments! Pick a goal that is hard, but not impossible. When you start a new goal you can get very excited, but that excitement sometimes causes you to be unrealistic. “I will be able to watch CNN and understand 100%” this is not something that can be done in one year. It also means that if you misunderstand even one word then you’ve failed. This is not achievable. It this achievable? Think about the Progress goals (what you have to do every day/ week). If your current score is 500, then it will take about 1500 hours of study to reach 900 in one year. That’s 29 hours a week. 4 hours every day. That is possible, but not achievable. You are likely to quit after a short time. If your score is 800 it will take about 400 hours of study to reach 900 points. That’s about an hour a day. That is an achievable goal. Think about the time you have available to study each day. Add that up for the whole year. Pick a goal that you can achieve in that amount of time. I personally like to set weekly goals instead of daily goals. If you tell yourself to study one hour every day and you miss a few days you might feel like a failure and quit. If you tell yourself to study seven hours a week you can plan for one hour a day and if you miss a day you can make it up another day. If you have an English goal for 2019 it’s important that you can measure it. If you followed step 1 and have a Specific goal then you need a way to know if you have succeeded or failed. It is best to measure both process and results. Process is what you do every day. Results are what you achieve. Here are some examples. Your goals will vary. Process Goal: I will listen to English for 30 minutes a day at least 5 days a week. Result Goal: By December 31st I will be able to listen to an audio book at normal speed and understand the words. You might change your process goals by month: 30 minutes a day in January, 1 hour a day by the summer, 90 minutes a day in the fall. Maybe this is on the phone, maybe video call, maybe in person. Maybe it’s with an English teacher you hire, a friend or a language exchange partner. It’s hard spend time speaking, so you may need to practice all week to make the most out of your once a week conversation. This could motivate you to study vocabulary and grammar to prepare. Record yourself trying to have a one hour conversation in January. Then record yourself trying again in December. Compare the results. You need something objective to be able to see if you have succeeded or failed. Process goals give you daily or weekly goals you can measure to see if you are doing well. Result goals give you a final accomplishment that will tell you objectively if you succeeded or failed. You can also set mini result goals every few months. This lets you adjust your process and goals as the year progresses. I try to keep these blogs and audio files short (One bite English!) so I’ll split this over several parts. “Because I can’t understand they words they are saying”. “They speak too fast for me”. “I’m not used to fast English”. “Because I have only practiced listening to English learning materials”. “Because that’s all I had available”. Recommended solution: This person needs to find some English listening that is a more natural speed. Audiobooks and podcasts are great for this, because there is so much available that you can find something that matches your interest. Most audiobook and podcast apps also have speed control, so you can start slowly and build up. Recommended solution: This person needs to get over the fear of speaking. You can’t think properly if you are scared. The solution here isn’t easy. I can tell you that there is nothing to be scared of when talking in English (there isn’t), but that won’t help. I don’t like spiders. If someone tells me that tarantulas aren’t dangerous, I still don’t want to pet one. What you need to overcome fear is exposure therapy. 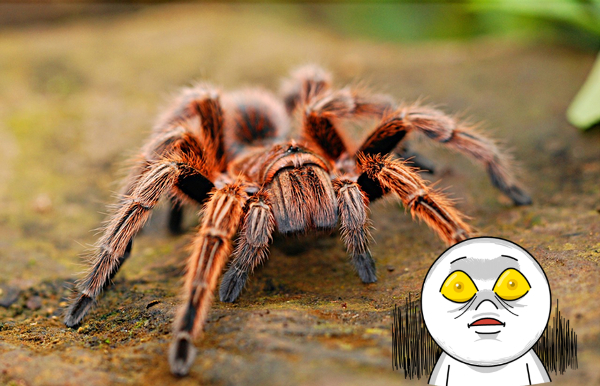 If touching a tarantula is scary then what would be easier? Letting it crawl on my pants? Looking at one in a glass cage? Watching a video of one? Looking at a picture of one? I would pick the level that scares me just a bit and work from there. 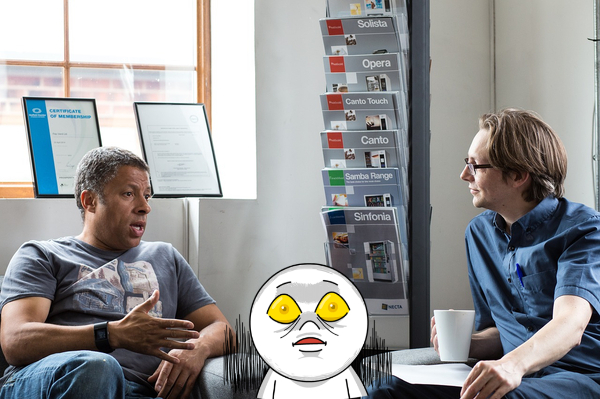 Having a conversation with a native speaker scares you? How about an English teacher? Reading a prepared speech for someone else? Reading an English script with an English speaker? Recording yourself having imaginary conversations with English speakers? Find the level of speaking that you can handle and work your way from there. These are just examples of “The 5 whys”, everyone’s answer will be different. Maybe your listening is poor not because of speed, but because you lack vocabulary. Work on that. Maybe your speaking is poor because of your pronunciation. Focus your efforts there. Be specific and figure out what your underlying problem is, and work on that.